For over 100 years, Memorial Day weekend has been synonymous with the Indianapolis 500 at the Indianapolis Motor Speedway. Just a few miles west, Lucas Oil Raceway saw the return of a tradition in the form of the Carb Night Classic with the Pro Mazda Championship Presented by Cooper Tires hosting the Freedom 90 race last night. 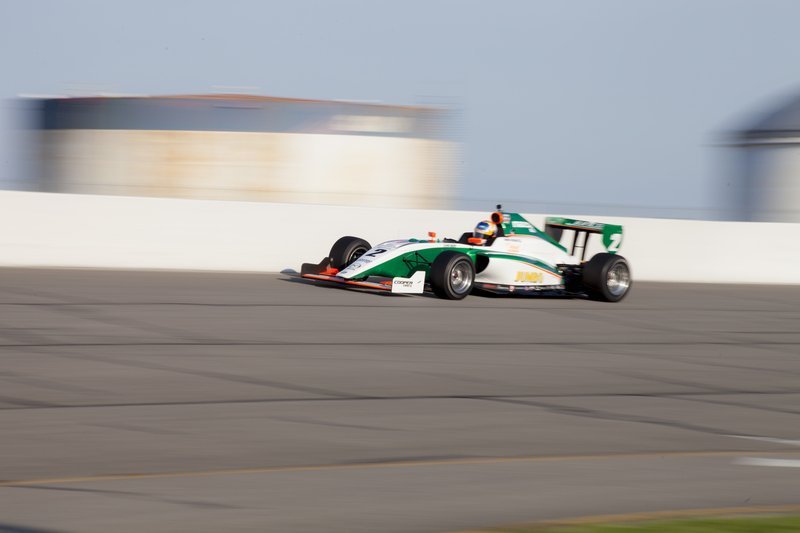 Dutch teenager Rinus VeeKay made his Pro Mazda oval debut at the 0.6-mile oval and showed impressive consistency during the weekend, despite challenging conditions. VeeKay qualified fifth on Friday afternoon to line up on the inside of row three for the 90-lap race. At the start of the race, VeeKay was able to keep his nose clean despite going three-wide into turn one. The 17-year old narrowly missed a crash involving David Malukas and Harrison Scott at the mid point of the race and despite hitting a piece of debris, he was unscathed. In the closing stages of the race, VeeKay put an increasing amount of pressure on his teammate Robert Megennis for third, but eventually had to settle for fourth across the line. With the Indianapolis swing of races complete, VeeKay sits third in the Pro Mazda Championship, just one point arrears of Carlos Cunha in second. Next up on the calendar is a double-header weekend at Road America on June 22-24 where the Dutchman dominated in USF2000 last year.